This article of Netgear extender setup will walk you through the initial configuration of your Netgear range extender. After you follow this process, your Netgear range extender will configure to connect with your existing wireless network. NOTE: When setting up your Netgear range extender, we recommend that you bring the device into the same room as your main router. Once the installation is complete and it is properly verified having a working connection between the extender and the main router. After that, you can move the Netgear wireless range extender to your preferred location where you want to place it. Plug the wireless extender in the power outlet. Turn on your Netgear range extender. Then wait for the power LED light to turn green. On your wireless computer or tablet, look and connect to the wireless network name NETGEAR_EXT. 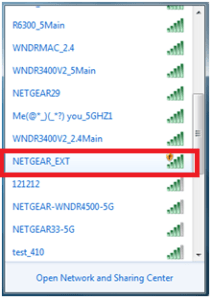 NETGEAR_EXT is the default name of your Netgear wireless range extender. Open the browser from the same wireless laptop or tablet and the web browser will take you directly to the set-up page of your Netgear wireless range extender. Tip: Users can always access the wireless extender setting page by connecting with the range extender and go to www.mywifiext.com in your web browser URL bar. Netgear genie will search for the existing wireless network which is the range of your Netgear range extender. When the search is complete it will give the list of the network within the range get displayed. Select the name of your existing wireless network which you want to boost or extend. If your existing wireless network is password enable. Put the wifi password of your existing wireless network. If your router supports the 5 GHz wireless network, select the 5 GHz wireless network of your existing router and click Continue. Else, select the option My router does not support 5GHz wireless network and click Continue. Check the wireless network security key or password of your existing wireless network. Try to install the Netgear wireless range extender in the same room where your main router is installed. Try to power off and power on all of your devices to refresh the wireless network. Review all the option and make sure it is correct. Then continue. Then connect your extender with your wireless device or computer. Q.1: How to setup NETGEAR RANGE EXTENDER through WPS process? WPS (WiFi Protected Setup) is one of the process to set up the NETGEAR range extender. To configure your extender through WPS process your NETGEAR range extender and your WiFi router both should be compatible for WPS and security should be set on WPS. If you need any help you can contact our support team. Q.2: How to configure NETGEAR RANGE EXTENDER through manually? You can also install a NETGEAR through manual setup too. Here you can simply plug your device let the light turn to solid and once it turns solid then open the browser and open the NETGEAR range extender setup page i.e, mywifiext.net. and click on new extender setup. Here, you can configure the setup easily. Q.3: Where I find the new extender setup page? Q4: What is NETGEAR GENIE? NETGEAR genie is a page of NETGEAR range extender where you can deal with any changes such as resetting the password, changing the SSID, upgrading the new firmware etc. Q.5: How to reset the NETGEAR range extender password? 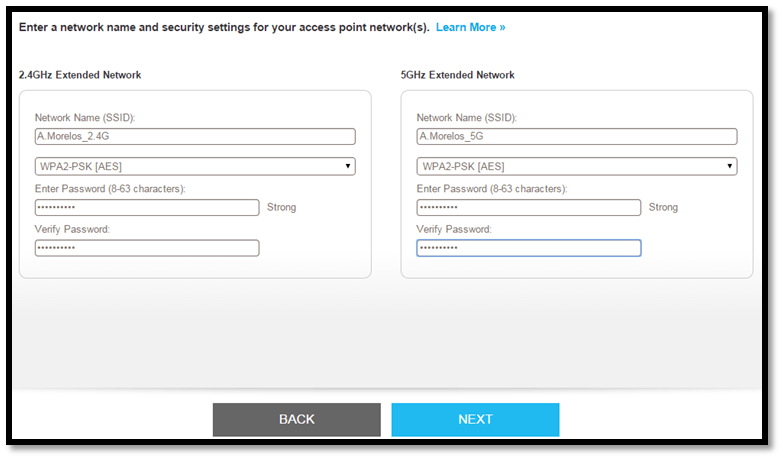 If you forget the password or its not working, then you can simply log in to the NETGEAR genie and change the password. To log in to the NETGEAR genie, it will ask for the username and password. Once you enter in login page then you can make any changes you want. Q.6: After configure NETGEAR Range Extender I am not able to see 5GHz wireless Network Name (SSID)? Most of the customer have the issue that their WiFi device only deducts 2GHz wireless network name and it does not show the 5GHz wireless network name. Actually, it basically depends upon your router whether its is support both 5GHz and 2GHz or the router on support the 2GHz, and the same on WiFi device too whether its support both or only one that is 2GHz. While installing your NETGEAR range extender you need to login to the setup page and select your wireless network name or SSID to extent the network but If your router is set to a DFS channel you may face the problem, NETGEAR range extender connot find the wireless network name (SSID) in the list of available wireless networks name. Symptoms: During installing NETGEAR range extender unable to find the wireless network name or SSID on availble network name to extend. Facing droping signal issue while connecting with 5GHz of NETGEAR range extender, occurring at irregular intervals while connecting to the 5GHz band of the WiFi router. Resolution: If your router is DFS certified such as Airport Extreme, wndr4300, telekom speedport 724V etc then the problem is solved. Your router will support the 5GHz band too than. You just need to log in to your router setting, to visit router page open a browser and enter the IP address of your router and check the 5GHz band or 5GHz frequency section on router page. And then Check wheather the WiFi channel frequency of your wireless router is set to “Auto” or to a DFS channel. Change the channel of your router to 36-48 or 149-165 from “Auto” or a DFS channel and apply the setting, once you apply the new setting on your router, get back to your extender setup page and refresh the page of network list and you will able to see the your 5ghz wireless network name in the list of wireless network name. setup your NETGEAR range extender with the availble network name and enjoy the NETGEAR extender service. To make the thing easy you can directly connect to the support team on 1-866-988-8965. Q.7: How I can change my NETGEAR Router wireless Network Name and Password? If you want to change your NETGEAR router wireless network SSID and the password too then its not too much hard, you just need to follow below step and change any thing related to your router. but make sure you don’t make any changes in advance setting such as MAC adress if you don’t have any knowledge else you might loss you internet connection too. so follow the below step and enjoy the NETGEAR router wireless network . Turn on your wi-fi devie and open any browser such as google crome, mozila firefox, internet explorer or safari and type http://www.routerlogin.net or type ip adress of your NETGEAR router into the address bar. If you are facing trouble in accessing routerlogin.net such as visit Router login page is not opened or you have a blank page. then you have a login page pop up you need to enter the router user name and password. Once you click on OK then the router setting page will open where you can make any change as per your need such as SSID, NETGEAR WIRELESS PASSWORD, NETGEAR GUEST NETWORK AND ALL. In NETGEAR router setting page you need to Select Wireless.once you click on wireless then enter your new username whatever you want in the Name (SSID) field and create you new password of your NETGEAR wireless router network in the password (Network Key) fields. Click the Apply button to apply the new setting you recently made on NETGEAR router page. Just one click on apply and all the changes you made are saved. If you still not able to change the NETGEAR router SSID and password you can contact to support team 1-866-988-8965. Just dial the number and sit back and relax, experts will help you remotely. 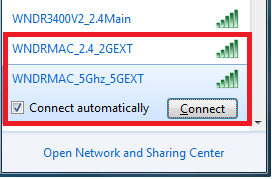 Q.8: While installing my extender I am not getting my 5GHz existing network(SSID), What should I do? There can be only one reason for not getting 5GHz network and that is If your router is set to a DFS channel you may encounter an issue where the extender cannot see your router network name (SSID) and therefore it is not displayed in the list of available networks to extend . But if its ok and still you are having the problem then contact our technical team on toll free no. 1-866-988-8965. Q.9: How can I use the fast technology on my NETGEAR range extenders? Ans In NETGEAR wifi extender you can connect devices on both 2.4 GHz and 5 GHz at same time. But at this mode Wi-Fi performance reduces. To deal with this problem fastlane technology is used in which it offers high-speed Wi-Fi with a dedicated band. But if all devices and your WiFi support only one band i.e. either 2.4 GHz or 5 GHz, then don’t enable FastLane Technology. In case, having any problem you can contact our technical team on toll-free no. 1-866-988-8965. Q.10: How can I use FastLane Technology? For the proper functioning of FastLane Technology there are two modes. In first mode, one should use the 2.4 GHz band to connect the extender to the Wi-Fi devices and 5 GHz band to connect the extender to the Wi-Fi router. This mode is used if Wi-Fi router supports the 5 GHz band and devices support the 2.4 GHz band. In second mode, one should use 5 GHz band to connect NETGEAR extender to the Wi-Fi devices and 2.4 GHz band to connect the extender to the Wi-Fi router. This mode is used when devices support the 5 GHz band and Wi-Fi router supports the 2.4 GHz band. In case, having any problem you can contact our technical team on toll-free no. 1-866-988-8965. Q.11: I want to access my external USB HDD connected to NETGEAR range extender. Can you tell me how can I do that? To access usb HDD firstly you have to connect usb HDD to usb port on your NETGEAR wireless extender. After that change SSID and wireless security of NETGEAR booster extenders. Then open NETGEAR extender setup wizard, by this you will be logged into your NETGEAR account. In this go to settings, here select USB port. By following these steps you can access usb HDD. In case, having any problem you can contact our technical team on toll free no. 1-866-988-8965. Q.12: I want to change the SSID and wireless security of my NETGEAR wifi extender. What are steps which I have to follow for this? Firstly plug in your wifi extender and wait till the solid green light will be there on your NETGEAR wifi range extender. Then open setup page of extender on your web browser. Now logged into your account. Go to settings, then change SSID as well as security key from there. In case, having any problem you can contact our technical team on toll-free no. 1-866-988-8965. Q.13: How can I install the NETGEAR extender with WPS (WiFi Protected Setup)? Before installing 0 with WPS (WiFi Protected Setup) firstly be sure that your router is WPS (WiFi Protected Setup) compatible. Then press WPS button on WiFi range extender for 5 seconds. The WPS LED Image on the front should blink, after two minutes. After that press the WPS button on your wireless router. After approximately two minutes connection between NETGEAR range extender and router will be created. After establishment of the connection, NETGEAR extender is ready to use. In case, having any problem you can contact our technical team on toll free no. 1-866-988-8965. Q.14: I had changed my wireless extender’s password but now I am unable to connect to wireless network. How to figure it out? If you had changed the password then wireless devices may have stopped working because the devices will still be using an old password .So you have to firstly remove the old wireless settings. By doing this you can apply the new settings and set a new password . In case, having any problem you can contact our technical team on toll free no. 1-866-988-8965. Q.15: I had connected my router with Ethernet cable, will still my extender work? No, it will not because NETGEAR Wi-Fi extender is designed to work as an AP/client bridge, not an access point. for the proper functioning as well as proper use NETGEAR extender should be wirelessly connected to your router. In case, having any problem you can contact our technical team on toll free no. 1-866-988-8965. Q.16: On my wireless router wireless MAC filter (wireless access control) is enabled, how do I install EX2700? You have to disable MAC filter atleast temporarily while installing the EX2700. Once installation is completed, go to GUI, then select the “Attached device” option on the left page and it will show the information regarding each computer attached to EX2700. Please add all MAC addresses shown on the “Virtual MAC address” column into your router. In case, having any problem you can contact our technical team on toll free no. 1-866-988-8965. Q.17: I had entered a wrong wireless security passphrase during installation of EX2700 so is unable to connect to EX2700 through wireless connection. What should I do to access the EX2700? For this you have to remove your old wireless settings and have to setup the new wireless settings. In case, having any problem you can contact our technical team on toll free no. 1-866-988-8965. Q.18: Is it possible to use the Push ‘N’ Connect WPS button to connect the Extender to my existing router? Yes. The Push ‘N’ Connect button can be used to connect the Extender to your existing router. For this, you have to first press EX2700’s WPS button. Then after 2 minutes, press your router or your PC’s WPS button. In case, having any problem you can contact our technical team on toll free no. 1-866-988-8965. Q.19: What are the steps to follow to setup your NETGEAR WiFi range extender? NETGEAR Wireless Range Extender is a wireless repeater that can be used to boost your existing WiFi coverage for your various devices like smartphones, tablets, game consoles and more. Thus by using NETGEAR range extenders, you can easily remove dead spots. The important feature is it works with your all existing devices. Its installation is also quite easy. There are two ways to install your extenders. You can use the WPS method or the web browser setup guide. Please refer to the manual for NETGEAR WiFi Extender Setup wizard. You can also check out steps for extender installation from our website NETGEAR.Support. In case, having any problem you can contact our technical team on toll free no. 1-866-988-8965. Q.20: I had forgot my router password. What should I do now? If you have forgotten or lost the password, you have to access your NETGEAR router’s administrative web interface, here please see Restoring a NETGEAR Router to Factory Default Settings. This also applies if you are unable to access the router setting or configuration page due to password and you are receiving the error “Not Authorized”. If you still have any problem then contact our technical team on toll free no. 1-866-988-8965. We will love to help you. Q.21: How can I connect to my wireless network in Windows 8? To connect to wireless network in Windows 8 firstly Click on the WiFi icon on the lower-right corner of your screen. All available wireless networks will be listed over there. Simply select the wireless network you wish to connect to and click the Connect button. If that network is secured i.e have password then you have to type that password then click on next. In case, having any problem you can contact our technical team on toll-free no. 1-866-988-8965.